Photovoltaic Solution... just add the installer. 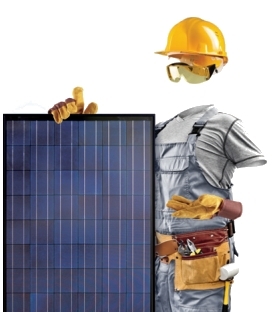 For nearly a decade energy efficiency installers have trusted SOLFEX energy systems to deliver their renewable energy products, photovoltaic components and systems are no exception to this. As part of the Travis Perkins PLC group of companies we offer our customers a solid reliable distribution platform and photovoltaic expertise from a dedicated sales division. We offer our customers a wide selection of top quality modules, inverters & monitoring solutions for on-grid connected systems, mounting structures and components from the world’s leading manufacturers. Not only do we offer the best products at the most competitive prices, we ensure your supply chain and service is a pleasant experience. SOLFEX energy systems product management, technical team & procurement operate alongside our manufacturing partners and have a homogeneous approach to product quality and service, every component is carefully selected on its technical performance, longevity and warranty prior to being accepted within our portfolio of products.